I first explained to them that there are basically two types of patent attorneys, patent litigation attorneys and patent preparation and prosecution attorneys. Patent litigation attorneys basically defend their clients against claims of patent infringement, and prosecute infringement suits against defendants that have infringed their client’s patent. Patent preparation and prosecution attorneys basically research the possibility of obtaining a patent for a client’s invention, prepare an application for a patent and file the patent application at the Patent Office, and then prosecute the patent application at the Patent Office until it issues as a patent or is abandoned by the client. In addition to my law degree, I have a mechanical engineering degree and I am a former Patent Office Primary Examiner. On receiving my BSME degree, I went to the Patent Office as my first job out of school and examined applications for patents. While at the Patent Office I went to law school at night and obtained my J.D. degree. After several years at the Patent Office, with my BSME degree, my JD and my experience in examining patent applications, I decided to leave the Patent Office and become an intellectual property law attorney, and in particular to become a patent attorney that concentrates on patent preparation and prosecution. Being a patent preparation and prosecution attorney is very different from any other practice of law. It is a mixture of law and engineering. I have been preparing patent applications and prosecuting patent applications for over 25 years. During the patent preparation process, I first meet with an inventor to discuss their invention, or review a description of a new invention sent to me by the inventor and discuss the invention over the telephone with the inventor. I discuss with the inventor how the invention is made, what the invention does, how the invention works, what are the benefits provided by the invention and how is the invention an improvement over previously known devices or processes. I advise that research be done to gather information that can be used to determine the possibility of obtaining a patent for the invention. This research is commonly called a patentability search. 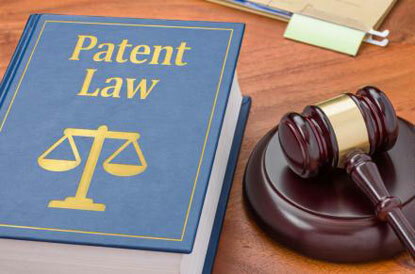 A patentability search basically involves having a patent research firm conduct research for patents and published patent applications that disclose subject matter similar to the invention. The patentability search is often conducted through information available from the U.S. Patent Office. The patent research firm reviews a description of the invention I provide to them, and conducts research through the information available from the Patent Office for issued patents or published patent applications that disclose subject matter that is identical to or similar to the invention being searched. The patent research firm sends me their findings, and I review their findings and compare them to the invention. From this comparison, I prepare an opinion on what I think the possibility is of obtaining, or not obtaining a patent for the invention based on the findings. A patentability search is not required for filing a patent application at the Patent Office, but it can give a good indication of whether the inventor should go through the time and expense of preparing and filing an application for a patent. I have clients that are very in tune with the current state of the art of the technology of their inventions. These clients typically forgo a patentability search. If the patentability search is favorable, or if the inventor decides to forgo the patentability search and to proceed with preparing and filing an application for a patent, there are two types of patent applications the inventor can file at the Patent Office. These are a provisional patent application and a non-provisional, regular patent application. The provisional patent application is basically designed to provide a means of establishing an early effective filing date of a patent application in the U.S. Patent Office. A provisional patent application can usually be prepared more quickly than a regular patent application. A provisional patent application can also usually be prepared and filed at the Patent Office at a reduced cost compared to a regular patent application. The provisional patent application typically includes a written description or written specification of the invention and a set of drawings that can be informal drawings, for example hand sketches. Often a provisional patent application will also include at least one claim that defines the scope of protection for the invention sought by the inventor. Although the provisional patent application does not require the written specification of the invention have the depth and detail that is required by a written specification of a regular patent application, the provisional patent application must still provide an enabling disclosure of the invention that would enable a person skilled in the technology of the invention to make and use the invention from the description provided in the written specification. As stated earlier, the provisional patent application is primarily used to obtain an early, effective filing date of the application in the Patent Office, and is not examined by the Patent Office and will not issue as a patent. It is primarily used to quickly get a patent application on file in the Patent Office and achieve “patent pending” status for the invention. Once the provisional application is filed at the Patent Office and receives a filing date, the inventor has up to twelve (12) months following the filing date of the provisional patent application to prepare and file a non-provisional, regular patent application for the invention. A non-provisional patent application, or a regular patent application comprises a full, written description or written specification of the invention and its method of use, formal drawings of the invention, and a set of written claims to the invention that define the scope of protection sought for the invention by the patent application. The written specification of the invention in the patent application is required to be in such full, clear, concise and exact terms as to enable any person skilled in the technology of the invention to make and use the invention defined in the specification. The written specification is prepared using technical concepts or “terms of art” that will be understood by any person skilled in the technology of the invention. In addition, I prepare the written specification explaining the technical concepts using layman’s terms so that the written specification can be easily understood by someone that does not have the technological background of the invention. This ensures that, should the patent issuing from the patent application ever be litigated for infringement, the written specification of the patent will be understood by the jury members of the patent infringement suit. The formal drawings of the patent application are used to further define the invention in combination with the written specification. The expression “a picture is worth a thousand words” is very true in the preparation of a patent application. Any feature in the claims of the patent application must not only be clearly defined in the written specification of the patent application, but must be also shown in the formal drawings of the patent application. The claims are the most important part of the patent application. The claims are basically written paragraphs that point out and distinctly claim the subject matter of the invention desired to be patented. The claims define the scope of protection provided by a patent issuing from the patent application. The claims include independent claims that are written with a broad description of the subject matter desired to be protected by the patent issuing from the patent application. However, the independent claims cannot be written with broad descriptions of the invention that can also be interpreted to be describing information in the public domain that existed prior to the filing of the patent application at the Patent Office. Independent claims written this broadly would be rejected by the Patent Office. The claims also include dependent claims that refer back to independent claims. The dependent claims further describe the subject matter of the invention described in the independent claims and pare down the coverage of the independent claims. In the examination of the patent application at the Patent Office, it is possible that an independent claim would be rejected as being too broad, but a dependent claim that depends from the rejected independent claim would be indicated as being allowable. The claims of a patent issuing from the patent application are written descriptions of the invention that, when compared to a potentially infringing product, will determine whether the product does infringe the patent. If the claims of the issued patent can be interpreted to read on the potentially infringing product, then that product most likely does infringe the patent. In addition to the written description or specification, the formal drawings and the claims, an Oath and Declaration of the inventor is included in the patent application. The Oath and Declaration sets forth that the inventor authorizes the preparation and filing of the patent application, and to the best knowledge of the inventor, they are the inventor of the subject matter sought to be patented. The above describes the patent application preparation process practiced by patent preparation and prosecution attorneys. After the patent application is filed at the Patent Office, it will eventually be examined by the Patent Office for patentability. This begins the patent prosecution process practiced by patent preparation and prosecution attorneys. When the patent application is filed at the Patent Office, it will be assigned to a Patent Office Examiner that regularly examines patent applications in the area of technology related to the invention. The patent application is assigned to the docket of the Examiner and is taken up in order by the Examiner for examination. Patent applications are examined in the order they received at the Patent Office, except for certain special situations. A patent application can sit on an Examiner’s docket for over two (2) years before it is taken up by the Examiner and examined. All the while, the invention has “patent pending” status. In the examination of the patent application, the Patent Office Examiner to which the application is assigned will review the patent application, the application claims and conduct a search through issued U.S. patents, published U.S. patent applications, some foreign patent documents and other literature and information available to the Patent Office Examiner that predate the filing date of the patent application to determine if the claimed invention is useful, is new or novel and is not obvious in view information known prior to the filing date of the patent application, or the prior art. If the Examiner’s determination is favorable, the Examiner indicates that the patent application will be allowed to issue as a patent. This almost never happens in the initial examination of a patent application. It is not uncommon for some or all of the claims of a patent application to be rejected in the first communication or First Office Action issued by the Patent Office sent to the inventor or the inventor’s patent preparation and prosecution attorney in the examination of the patent application. Relatively few patent applications are allowed as filed at the Patent Office. Typically, a Patent Office Examiner will first reject a patent application’s claims and issue a First Office Action setting forth the reasons the application claims were rejected and identifying the prior art, such as prior issued U.S. patents or published patent applications that were relied on by the Examiner in rejecting the application claims. The patent prosecution attorney would then review the First Office Action issued by the Patent Office Examiner, review the prior art cited in the Office Action, and review the reasons for rejecting the application claims set forth in the Office Action. The patent prosecution attorney then prepares a response to the Office Action. The response could include remarks pointing out errors made in the Office Action and present the reasons why the patent application should be allowed to issue as a patent. Additionally, if the Patent Office Examiner’s rejection of the claims has some merit, the patent prosecution attorney may amend the claims to distinguish the subject matter recited in the claims from what is disclosed by the prior art relied on by the Patent Office Examiner in rejecting the application claims. The response prepared by the patent prosecution attorney, with any claim amendments and remarks on patentability, is then filed at the Patent Office and is reconsidered by the same Patent Office Examiner. The Patent Office Examiner will then issue another Office Action indicating whether some or all of the claims of the patent application will be allowed, or again rejected. If the claims are now allowed, the patent application will proceed to be issued as a patent. If the further Office Action again rejects the claims of the application, the rejection is usually made final by the Patent Office Examiner. On receipt of a Final Rejection from the Patent Office, the patent prosecution attorneys’ reply is limited to appealing the Final Rejection, cancelling rejected claims and accepting claims that have been allowed by the Examiner, or abandoning the application on instructions to do so from the inventor. As an alternative to appealing the Final Rejection, a Request for Continued Examination of the application or a continuation patent application could be filed to further pursue the subject matter of the patent application claims. An appeal of a Final Rejection is made to the Patent Trial and Appeal Board of the Patent Office. The patent prosecution attorney prepares an Appeal Brief. The Appeal Brief is basically prepared with summaries of the subject matter of the invention recited in the application claims rejected in the Final Rejection of the patent application, and arguments on the patentability of the subject matter of the invention recited in the rejected claims over the prior art cited by the Examiner in the claim rejections, and explanations on why the Examiner erred in the Final Rejection of the patent application claims. In response to the patent prosecution attorney filing an Appeal Brief in the prosecution of the patent application, the Patent Office Examiner prepares an Answer to the Appeal Brief. Both the Appeal Brief prepared by the patent prosecution attorney and the Answer prepared by the Examiner are then sent to the Patent Trial and Appeal Board of the Patent Office for consideration by three administrative law judges (ALJ) of the Board. The ALJ’s consider both the arguments presented in the Appeal Brief, and the arguments presented in the Examiner’s Answer, and reach a decision on whether to affirm the Final Rejection of the patent application claims, or reverse the final rejection of some or all of the patent application claims. If a decision of the Patent Trial and Appeal Board reverses the Examiner’s Final Rejection of the application claims, the application will be allowed to issue as a patent. If a decision by the Patent Trial and Appeal Board affirms the Examiner’s Final Rejection of the application claims, the decision of the Board may be appealed to the Court of Appeals for the Federal Circuit.